Over the top! Wayne Roberts flies the LM-100J at Farnborough 2018. 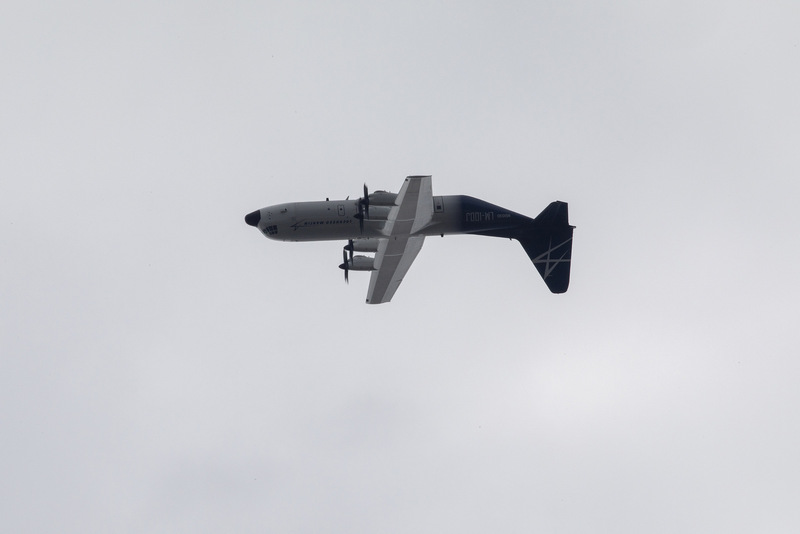 Given its vast size, the straight-winged turboprop cargo carrier isn’t exactly the type of aircraft you’d expect to see performing aerobatic routines for onlookers. And that’s exactly what happened at this year’s Farnborough Airshow, which took place just outside London in July. “It was a corkscrew and not a loop, even though the plane could probably do a loop,” Roberts explained to CNN Travel. “I’m looking at the probability of any single failure that can happen, primarily engines as well as critical avionics,” he says. 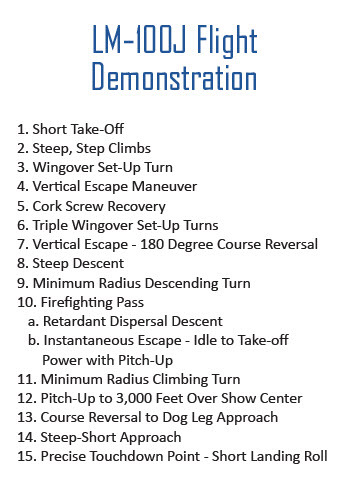 “The ‘Corkscrew Recovery’ actually gives me escape maneuvers for losing any one of the four engines at any point in the routine. Roberts spent a month and a half updating his previous C-130J air show routines in order to bring this year’s flight demonstration in better visibility of the crowds at Farnborough. “It’s actually what I might call an ‘inclined loop,’ ” he explains. “It’s the kind of loop that leans, that you start with about 20 degrees of bank, and then at the end of it I actually roll out a little bit and scoop it out in more of a corkscrew. “But by then everybody’s convinced that it’s a loop and they don’t care what I do in the last quarter of the maneuver,” he adds with a laugh. 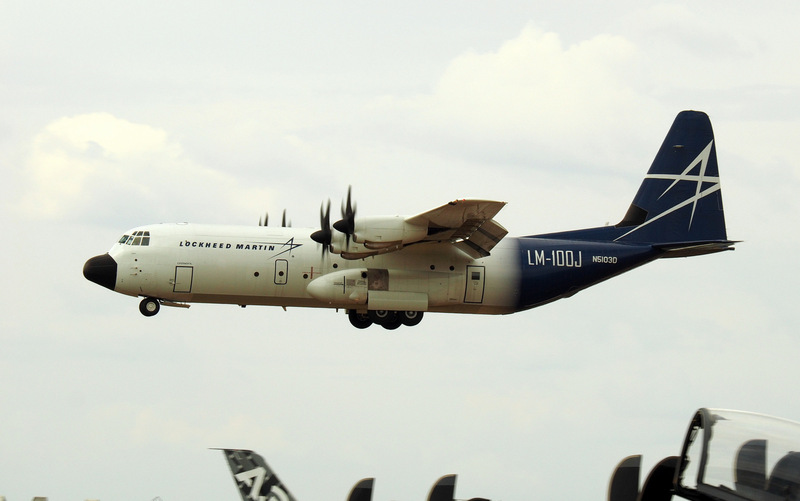 The Lockheed Martin LM-100J lands at Farnborough after its flight demo. 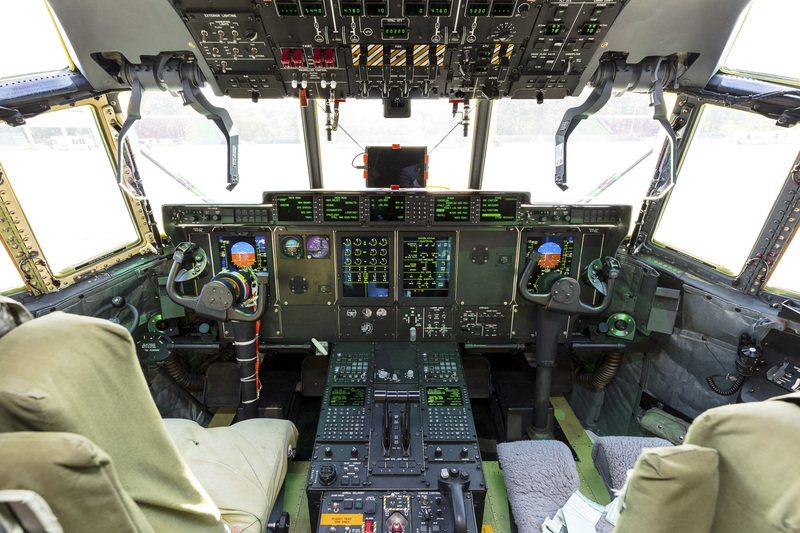 Pilots flying the airlifter will benefit from years of technological advancements developed for the military Super Hercules, including a heads-up display (or HUD) derived from Lockheed Martin’s F-22 “Raptor” fighter. This enables the pilots to fly “eyes out” while keeping full awareness of the performance of the plane. 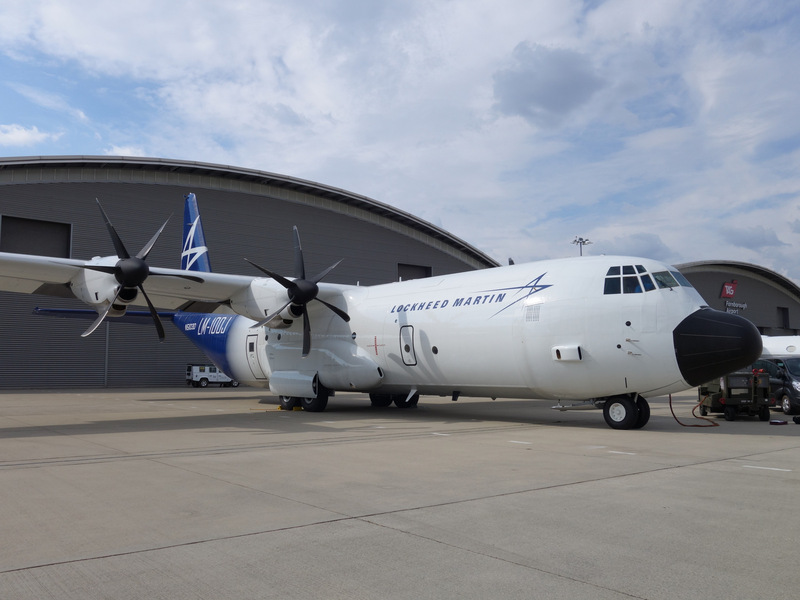 The HUD will play a critical role in the “FireHerc,” an upcoming forest fire fighting version of the LM-100J, which was announced at the Farnborough Airshow. The LM-100J on the ramp at FIA18, after the flight demo. 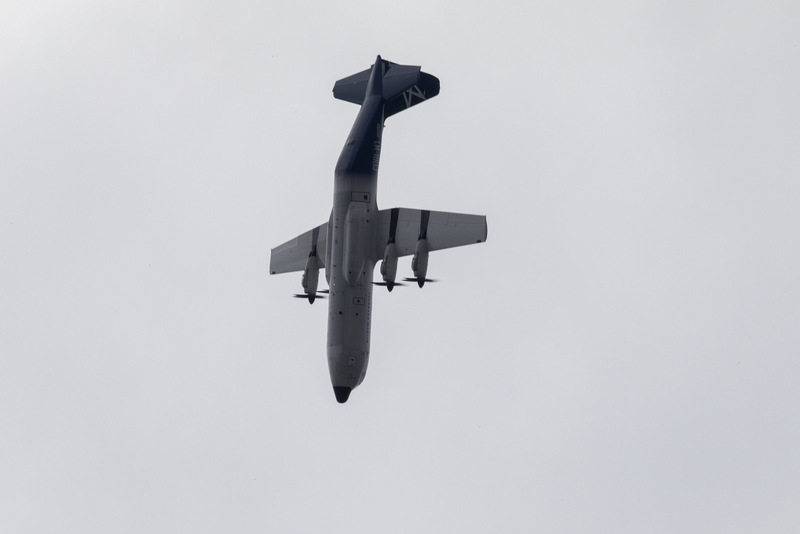 It’s been flying for over 60 years, and there’s every indication that the Hercules will still be flying on the plane’s 100th birthday in 2056. “It’s just a very robust aircraft designed for very severe environments,” says Frese. “It is entirely possible that it [the Farnborough Airshow demonstration] was my last flight for Lockheed Martin. I decided to stay on to do the air show, and my wife is holding me to it!